SignalR is a great tool for keeping not only your web applications synced in real-time, but with it’s easy to use APIs for clients, it is perfect for use in your mobile applications. Adding a Simple Refresh Token to OAuth Bearer Tokens will help us develop our remote authentication from our cross-platform mobile app. In this scenario, we are going to focus on two major layers of separation within our applications, although you can always add more layers of abstraction if that is your style or preference. Our two layers are the Portable Class Library and Native Client Libraries. This example is going to be using one PCL with all of our shared code, and then individual projects for Windows Phone 8.1, Windows 8.1, Xamarin.iOS, and Xamarin.Android. In this architecture, we want to focus on sharing as much code as possible. 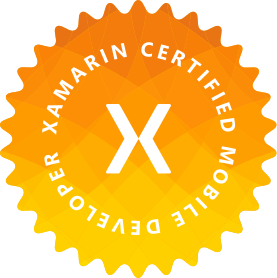 This implies that the only code that should not be in our PCL is code that includes the UI (Note we are not using Xamarin.Forms), updates the UI, or accesses the device’s native features (cameras, location, etc). This would include things such as ViewModels if you’re using the MVVM pattern (this example is using MVVM Light), Models, Web Request Logic, and even our SignalR Managers. So let’s get started with a simple BaseHubManager to manage our connections. I’m going to follow a basic Inheritance pattern for these managers so that we can share as much of our SignalR code in our Base Manager as possible. Now that we have a solid base, we can easily spin up individual Hub managers to connect to specific Hubs. Below is an example of a HubManager that would connect to the “ChatHub” on your server. Now what about the other side of SignalR – Client methods? There are some things to consider. Most importantly, will your client end points update anything in the UI? This also includes updating ViewModel properties that will cause updates in the UI. The problem is that the client end point listeners don’t stem from any sort of UI action the way that calling a server method might. Thus, it can’t run on the UI thread by itself and you would likely run into some sort of Threading Exception. One thing that SignalR does wonderfully is give you the ability to add these listeners from anywhere. That includes from your individual client projects that reference your PCL. So, let’s look at how to add these kind of requests to our client projects so we can update our UIs. Notice the biggest difference in how we handle our end point in our client project versus our PCL. The Dispatcher. In this case, we can pass Windows CoreDispatcher to our constructor, and by calling _dispatcher.RunAsync we are able to execute our process on our UI thread to successfully run code against our UI. Hopefully that is enough code to get you started, but feel free to ask more questions in the comments. Just remember to share as much code as possible in your PCL and use your Client Projects to handle updates to your UI and also to utilize SignalR’s flexibility and versatility.